CorporateHistory.net and Communication Design, Inc. were invaluable to us in the process of collecting our history and then presenting it to the world. Their experience with this kind of project guided us at every step, and their hard work brought it all to a successful conclusion. We are thrilled with the finished product, and reaction has been nothing but positive. Everything is bigger in Texas, and the law firm Jackson Walker L.L.P. is a case in point. 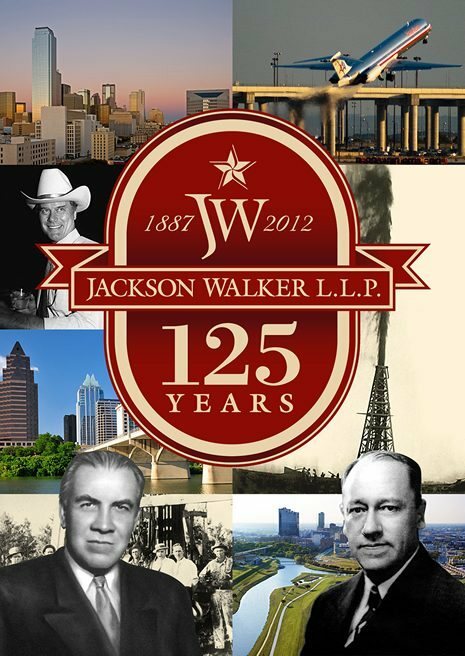 Based throughout Texas with a practice that spans the globe, Jackson Walker has spent 125 years playing a vital role in the growth and development of Texas business. 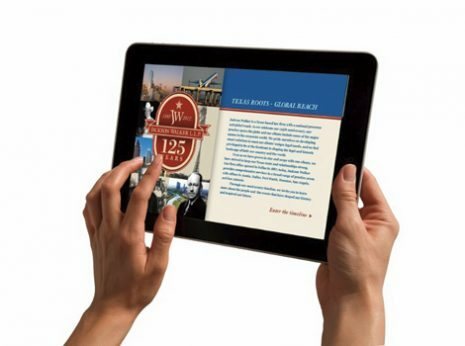 When it was time to celebrate those years with a look back at firm milestones, CorporateHistory.net and Communication Design, Inc., partnered to develop an interactive timeline that uses videos and pop-up features to highlight important events. Award Winner: CorporateHistory.net’s Jackson Walker 125th Anniversary timeline won a 2013 Apex Award of Excellence for special purpose websites. Co-created with our project partner Communications Design Inc., the site was one of only two winners in this category. Apex Awards are based on the quality of their graphic design, editorial content, and communications excellence. To celebrate its first 125 years, Jackson Walker called on CorporateHistory.net for a special Web-based history timeline with videos. We designed it to work equally well on desktops and tablets. This montage introduces the timeline.